Tonight’s guest blog post, on the topic of free eBooks and marketing, is brought to you by non-fiction author Marlayna Glynn Brown. As I write this post, I’m clicking back and forth between this page and my Amazon Kindle Direct Publishing page. Why? Because I’m watching precious versions of my memoir – which took me three years to write, edit and self-publish – fly out the proverbial Amazon door for FREE. In the time it took me to type the above, forty versions of my blood, sweat and tears were downloaded to Kindles across the world. But that’s not all I’m giving away. Aside from a 48 hour promotional period on Kindle during which thousands of readers will download free versions of Overlay – A Tale of One Girl’s Life in 1970s Las Vegas, I am giving away free eBook versions on a couple of websites and blogs as well. It’s close to costless to give away an eBook version (minus your invested wo/man-hours,) but I’ve also given away most of my first box of 25 printed versions of my memoir. A few copies were sent to book reviewers in the United States, India and Australia. A few copies are committed to a giveaway being held on Goodreads, on which I’ve offered two copies for free. At last count over 160 people had signed up for the giveaway. I also sent a few copies to people I thought were inclined to share the word to potential readers that my book was worth a read. We’re living in an exciting time where the publishing world is evolving at a previously unknown rate of change. In the past, a small percentage of hopeful authors were able to attract the attention of agents who then landed publishing deals on their behalf. If an author couldn’t get an agent, there wasn’t much of a chance of landing a publishing contract. Now anyone can publish a book thanks to Amazon, CreateSpace, AuthorHouse and other companies. And from the looks of things, authors are self-publishing in gigantic droves. This has increased competition for all authors – and created a need for authors to learn how to effectively self-promote their works. Lacking the agent and publishing contract most of us don’t yet have, we need to be creative in how we get our work out to the general public to increase awareness of our talent. We slather at the Amanda Hocking and Rebecca Wells success stories and work new ways to strategically place our books before the masses. It’s been said that Wells’ Divine Secrets of the Ya Ya Sisterhood wasn’t getting much attention until one book club recommended it to another book club. From there the word spread – as women began telling other women to read the book. As we now know, that particular method worked for Wells. And it worked WELL – no pun intended, of course. It’s a crucial step to consider your ideal reader and think of creative ways to get your work before the reader. Does your reader belong to a book club? Shop at an outdoor outfitting store? Do needlepoint? Take local classes at a community college? Hunt? Run marathons? After you’ve defined your ideal reader and considered the ways in which you can reach him and her, think of ways to get others in their networks to inform them of your work. Create citizen readers, if you will. One strategy is to strategically give your book away. There are numerous ways to do so, including using Amazon’s free promotion tool and staging giveaways on Goodreads. These steps are not targeted, and are more of a carpet bomber approach. Combine this broad approach with more direct and targeted approaches. Is your reader of college age? Send free books to the heads of a couple of large sororities or fraternities. Is your reader an addict or affected by addiction in the family? Contact helping organizations and local non profits and find ways to get your book in front of those who can recommend it to others. You get the picture. During the time it took me to type this post, nearly 700 copies of my book were downloaded. While that is X amount of money I did not “make,” the potential for these new citizen readers to inform others is priceless. 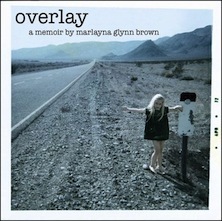 Marlayna Glynn Brown is a mother of four, author, screenwriter, actress, producer, poet, yogi and photographer. Marlayna was born and raised in Las Vegas, Nevada but now lives wherever she lays her head. Marlayna’s latest release, Forty-Something Phoenix: A Travel Memoir, takes readers from Texas to Italy, Slovenia, Croatia, Bosnia / Herzegovina, Montenegro, Ukraine, Germany, Austria, Slovakia, Hungary, Czech Republic, Belgium and finally The Netherlands in a search for self among others. 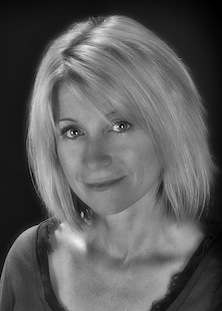 Her other works include the wildly beloved memoir trilogy: Overlay – A Tale of One Girl’s Life in 1970s Las Vegas, City of Angeles and Big as All Hell and Half of Texas. Really interesting post and very informative. It is a fact of life, people love to get something for nothing and I know I have compared all this to the Music Business before, but it is so similar. Record labels hold back money from sales to cover the ‘freebies’ given away to ‘entice’ Radio, TV, Vidoe Stations, The Music Press and so forth, to review, play a record and give some air-time/exposure to a new band or even an existing artist. It is taken from royalties and what with packaging costs and so on you can see that is is a big chunk of income gone…..so, I guess with all the freebies (books) given away as you describe Marlayna, it is not that different. Just the books go for free before your very eyes, whereas with a record, you never see it leave the warehouse so it is hard to envisage. Good luck and I hope you can sell some soon and make lots of money, direct to your own coffers.